I love this venue and this wonderful free event. Lots of great music every Sunday in the open courtyard. Click on the link below for the full scheduled. Very excited to have brother Bob Patient on this gig. Clancy's Fish Pub Freo - Fridays' in November. So this should be a hoot!! My dear friend and band member of 15 years Dave Brewer is not able to do these shows. So, I have picked up one of the most exciting guitarist I've heard in a long while. Mr Karl Morgan will be joining Ric, Roy and myself for these shows at Clancy's. Happy to be back in my hometown after a quick jaunt to Sydney to play some shows. We had a ball and safe to say so did they!!! We'll be back at the Ellington in Feb and hope to see you there. To book tickets click on the link below. Image by Mark Huntly Gordon. @ Starfish Club, Sydney. Looking forward to this little intimate gig in Sydney next month. 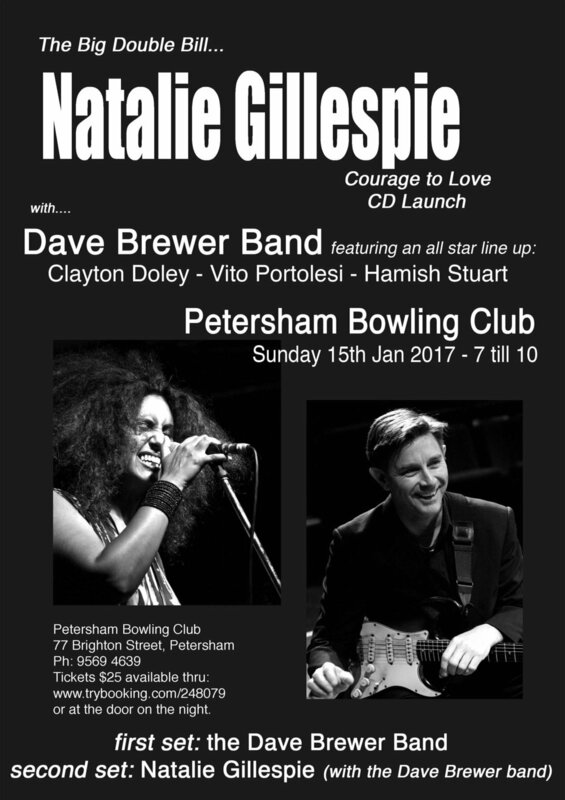 The Starfish Club is an exclusive once a month gig, held at the Clovelly Bowling Club and run by two of the most respected musos in the country, Hamish Stuart and Jonathan Zwartz. I'm very excited to have both these fellas on the gig along with the mighty Dave Brewer of course. I think this gig going to be special!!! Very excited to be apart of this year's Carols by Candlelight concert (link below). As well as the traditional carol singing experience, we will be adding a little twist. Bringing a little gospel, soul and country to the mix. Anthony Callea will be belting out some of the greats as only he can. I'm singing a couple of tunes I love.... if you want to know what they are you'll have to make your way down with a picnic blanket and plenty of good food. Central Park (the Perth one) Outdoor Lunchtime Show. Emerson Bar Opening - Private event. Come down to this early morning gig and let's stand together. This market is situated in the most beautiful park in Hamilton Hill. We're happy to be invited to play at the opening and to kick it off with a bang. Hi friends... We're happy to announce a short residency at Clancys Fish Pub in Fremantle. We haven't played many shows south of the river for a while, so heres a chance for all you folk who dislike traveling over the bridge to come and see us. Friday 2nd, 9th, & 16th of September 7 pm. Looking forward to this night. Haven't played here for a few months. The boys and I will be playing the new album along with a few of the old favourites. Hope to see you down there friends. If you're working or just passing by come and have your lunch in this gorgeous park.